June 10th was a special day in the lives of the Nelson family. 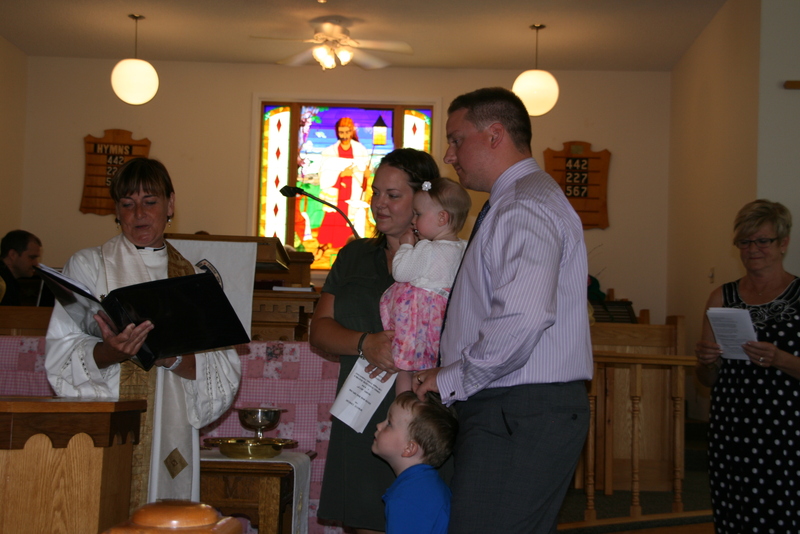 Baby Chloe, Lily and Ella were baptized on this day. Shown here are their dad, Adam, and Rev. Dr. Kelly Burke. Shown here are Rev. 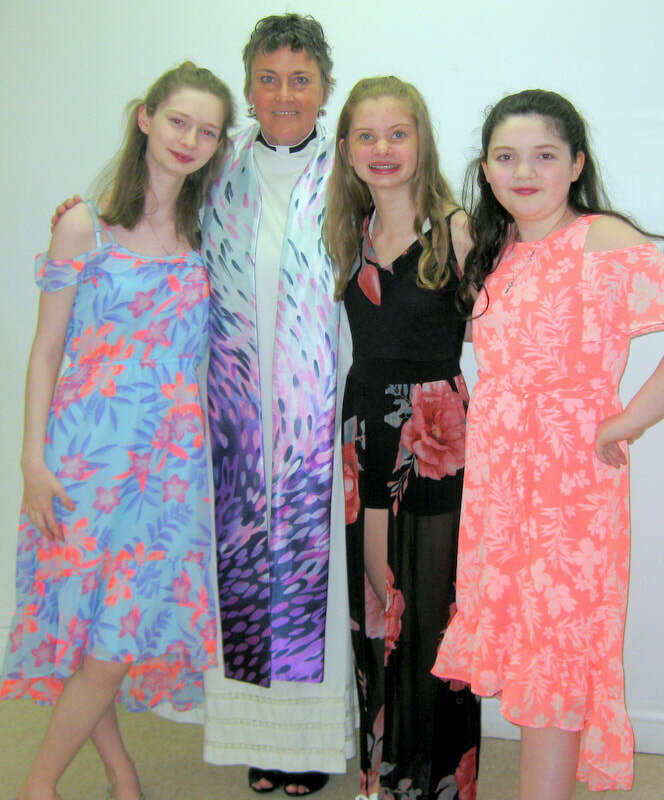 Dr. Kelly Burke with our three lovely ladies who were confirmed: Amber Knorr, Jessica Tupling and Emma Knorr. 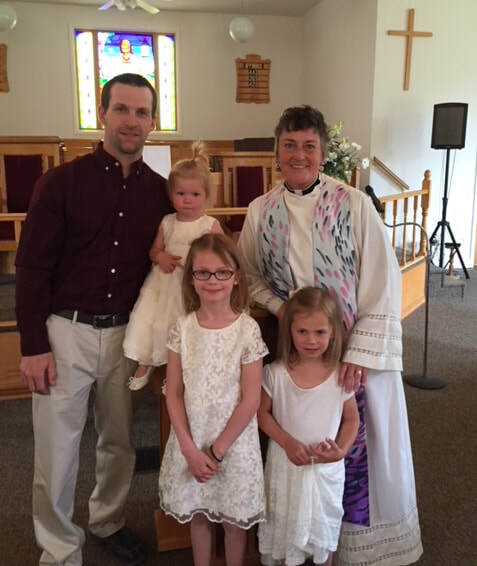 The Knorr girls were also baptized on this day. 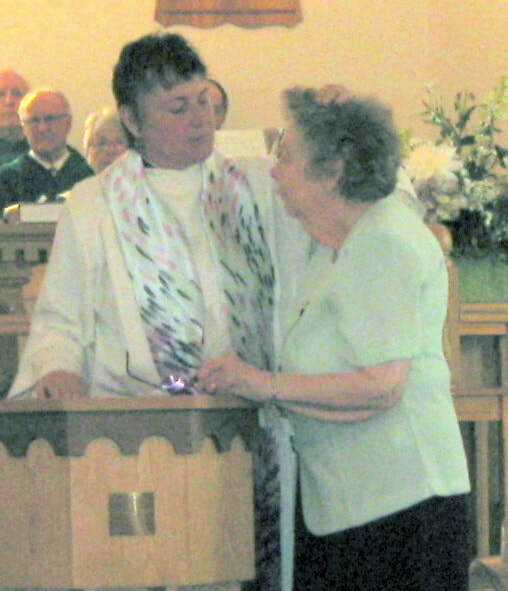 Long-time church member Marjorie Faye Olmstead, is received into full membership through the sacrament of Baptism. Rev. 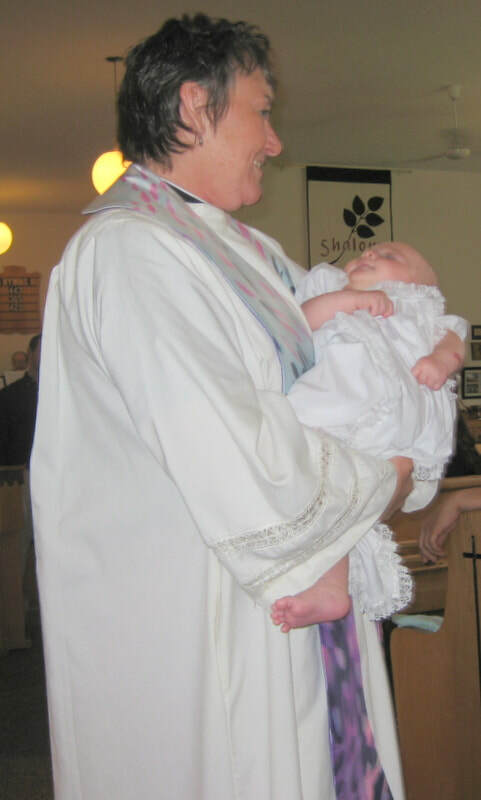 Dr. Kelly Burke baptizes Madelyn Katherine Baxter. Madelyn is the daughter of Meagan and Adam Baxter and a sister to big brother Jack. We had a great start to 2018 with the baptisms of three little members of our church family. Riley Donald Reicker was born to Deanna (Ball) and Matthew Reicker on October 18, 2016. Taylor Mae Loftus, daughter of Sarah and Scott Loftus, entered the world on July 10, 2017, a new sister for Allyson and Emma. Mya Olivia Harris, daughter of Jen and Matt Harris, was born November 22, 2017, a new sister for Hudson and Nolan. These new beginnings gave us three beautiful reasons to celebrate! Shown here with Rev. 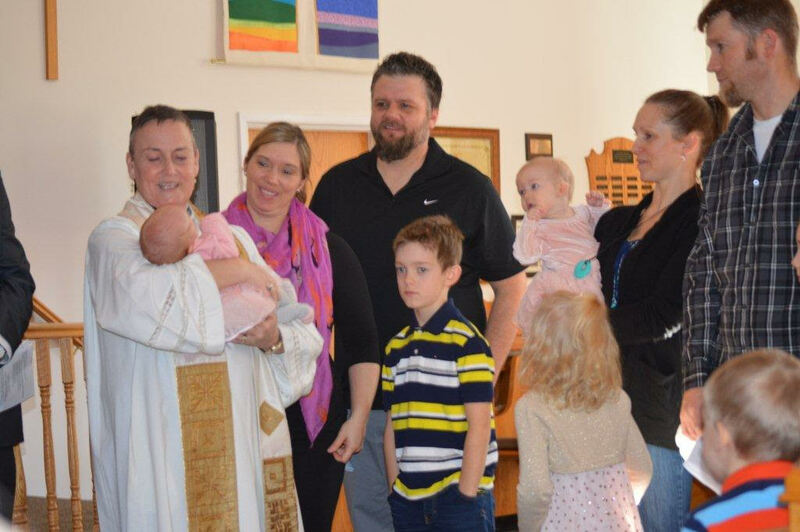 Dr. Kelly Burke are Jen and Matt Harris with their children Hudson and Nolan taking part in the baptism of their new baby, Mya Olivia, born November 22, 2017. Looking on are the Loftus family. Rev. 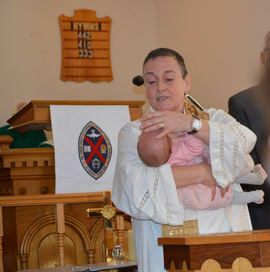 Dr. Kelly Burke holds Mya Olivia Harris during the baptism in January 2018. Looking on are Mya's dad, Matthew, and the Loftus family (Baby Taylor Mae also baptized, with Sarah and Scott Loftus, Allyson and Emma). Rev. 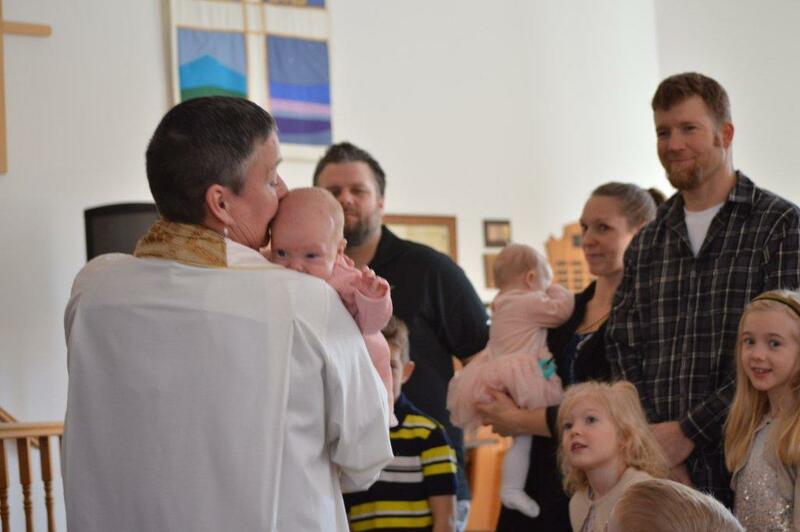 Dr. Kelly Burke baptises Mya Olivia Harris, daughter of Jen and Matt Harris. 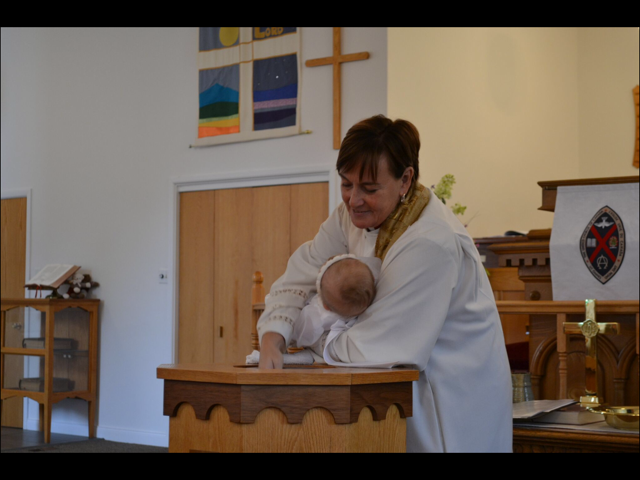 New Maryland United Church welcomes Mya Olivia! ​Rev. Kelly on October 23, 2016. 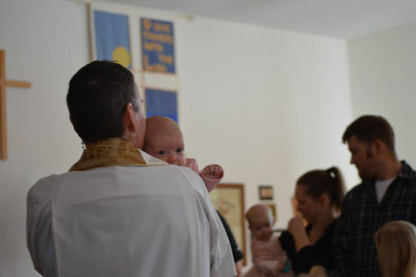 ​With the help of brother Blake, Hailey Lee Morrison, daughter of Christine and Mark Morrison and granddaughter of Sue and Paul Morrison, was baptised by Rev. Kelly Burke on June 26, 2016.